Kosherfrugal.com - Frugal Living in Israel: Vacation and Fun Day Deals! This fall, you can save BIG with discount vouchers and savings - the links in this post will take you to discount deals for each place listed. Hurry, some deals sell out quickly! Get 10% off at the Maimonides Puzzle Room in Tiberias. Use code "Kosherfrugal" when you make your reservation! Reservations required. Call 053-530-3018 to reserve your time slot. Here's an Eilat vacation at the Be Center Hotel in Eilat! Just 195nis per night (for 2 people. including breakfast. The hotel has an outdoor pool.)! There are also options for 2 adults plus a child, or for 3 adults in a room. Only available for a short while longer! You must call the hotel within 12 hrs of purchasing your Groupon in order to confirm the reservation. Vacation in Eilat for 249nis per night, at the Red Sea Hotel (price is for 2 people in a double room) - includes breakfast.Groupon valid thru the end of the year, for weeknight stays only (weeknights are defined as Sat. nights - Wed. night). The hotel has a pool and a private beach. Scuba Diving in Eilat - 199nis for 1, 389nis for 2, 579nis for 3. Glass bottomed Kayaking is included in the ticket for 2. For ages 8+. Reservations required. Groupon valid for 90 days from date of purchase. Reservations required. Ride the Roller Coaster at the Ice Mall! 25nis for 1 person, 49nis for 2. Here's a zimmer deal in Moshav Devorah (near Afula), for 279nis per night. Groupon valid thru the end of the year, but there is an additional fee for weekend nights. I'm not getting the feeling this is a fancy place, but it DOES have an outdoor pool! Treat yourself to a "yom pinuk" at Chamei Teverya, for a really great price! Ages 12+. Groupon valid for 60 days from date of purchase. You can add massages to the package for 20% off the list price when you go. Here's a Segway tour in the north at Montfort Lake! Ages 16+, closed shoes required. 65nis for one person, 129nis for two. Water fun at the Swell Surfing Club in Nahariya or Acco, starting at 50nis for an hour. You must reserve your slot in advance. Here's a combo ticket for fun at Montfort Lake - entrance to the park, the extreme park, and the ice skating rink - all for just 79nis. Visit Dvorat Hatavor! Find out all about bees and honey! You must make reservations. Here's a Groupon for the Petting Zoo at Kibbutz Deganya! Just 21nis per person. 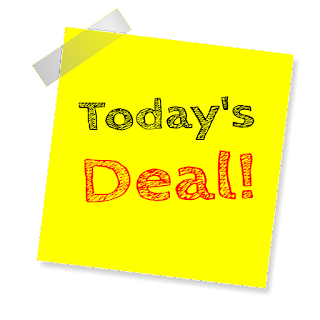 Here's a deal for the Malka Hotel in Jerusalem - starting at 299nis per couple per night (does not include any meals). Groupon valid thru the end of the year. You must call to reserve your stay within 48 hrs of purchasing this deal. Laser Tag in Jerusalem! Reservations required. Expand your cooking know-how with a Bread baking workshop, or Italian Cuisine workshop! Yum! Do a Chocolate Workshop in Kfar Chasidim! Check out the Biankini Beach at the Dead Sea! This deal gets you in on a weekday, for under 40nis per person. There's an additional charge at the gate for Fridays. Groupon valid thru the end of the year. Visit the Monkey Sanctuary in Ya'ar Ben Shemen for 30% off the regular price. Groupon valid thru November 30. Children under 2 get in free with a parent. Check out this Paragliding deal at Top Sky (Sharon area)! You must reserve your slot before you go. Click here for Restaurant Deals! Click here for Shopping Deals! Join my Facebook Group for Deals Everyday! Be sure to share this post with your friends - friends don't let friends overpay!